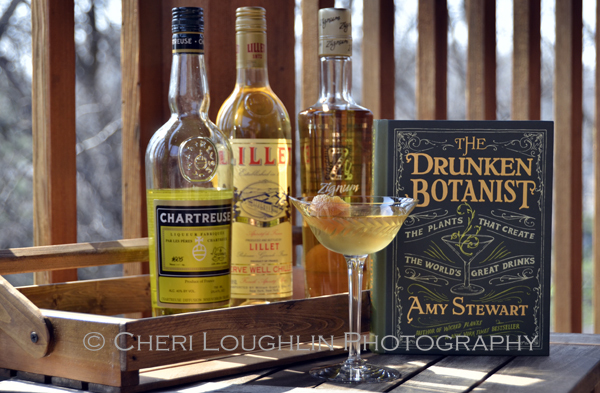 The Drunken Botanist by Amy Stewart could be referred to as the ultimate Do-It-Yourself [DIY] cocktail book. This book has been provided to me in exchange for an honest review and giveaway. Amy Stewart digs into the heart of the dirt of where cocktails originate. In this case DIY goes beyond reading a recipe and mixing it yourself. DIY is becoming knowledgeable about the origin of cocktail ingredients. It’s ditching the pre-bottled mixers and opting for mixers made with fresh local ingredients. At first glance The Drunken Botanist might just look like a geeky botany of booze. It isn’t really. It’s a reference guide to plants, herbs and spices with boozy history lessons and trivia weaved into conversational dialog. 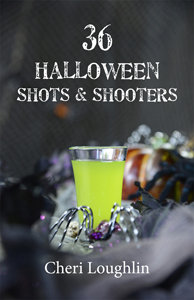 There are 51 cocktail recipes and 13 syrups, infusions and garnishes listed in the contents section. If you’ve ever picked up a bar menu or cocktail book in your adult life you’ll recognize a minimum of eighteen basic classic recipes from Manhattans to Mai Tais. Ms. Stewart teaches you a few fascinating facts about your drink that begin long before measurement and glassware. So you might think you know the drink, but in all likelihood you only know the recipe. Any bars still banning vodka should hide the juniper infused vodka as quickly as possible! 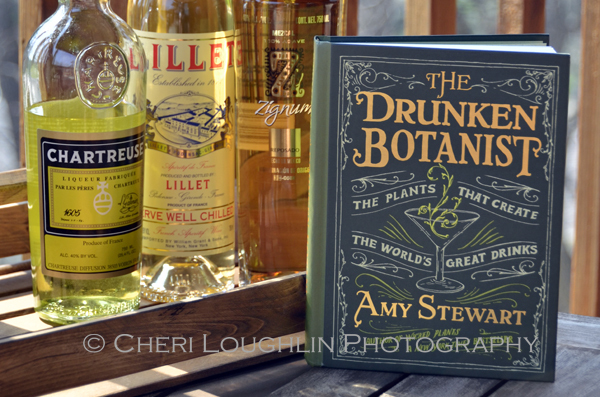 Algonquin Books has graciously offered to giveaway 2 copies of The Drunken Botanist book by Amy Stewart to readers of The Intoxicologist. Read on for details. The Drunken Botanist intrigues me as a botanical reference guide as it applies to liquor. Trust me, I’m not a gardener. I can barely keep herbs in a little planter pot alive. But the reference and origin material on each plant is captivating. There are charts with fruit, trees, flowers and herbs with notations on how to use them in infusions and as garnish. Many sidebar facts in the book make excellent Happy Hour trivia. I just have to remember the facts correctly! However, The Drunken Botanist is not a stand-alone cocktail recipe book. If you’re looking for hundreds of recipes, amazing cocktail photography, illustrative bar techniques, great liquor to recipe indexing, or recipes that only require easy to find ingredients, then this book isn’t it. There are no significant cocktail photos or demonstrative techniques for constructing the drinks in this book. Color throughout the book is all black and various shades of green including the illustrations which consist mostly of plants. Excellent for vintage cocktail enthusiasts! It is always helpful for an index to cross reference recipe ingredient to cocktail recipes. [i.e. : tequila, The French Intervention] The Drunken Botanist index does not cross reference recipes to ingredients. Recipes are found by recipe name only in the Recipes section of the Table of Contents and the Index. As I mentioned before, I like the history and detailed information about the recipes. But, if a cocktail book contains 51 recipes and 18 of those recipes are basic classic recipes, I want more recipes. I also want recipes that are accessible. Some of the recipes in The Drunken Botanist call for liquors that are difficult to acquire in some markets. I had to Google three liquors I had never heard of before to see if they were available online. Not every state can order online. Quite honestly, some fresh fruits and herbs are difficult to find in some markets, too. Mine included. That being said, I do like The Drunken Botanist and I am certainly thrilled to own a copy courtesy of Ms. Stewart and Algonquin Books. 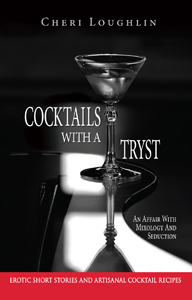 This book will serve as fabulous reference guide when researching cocktails. 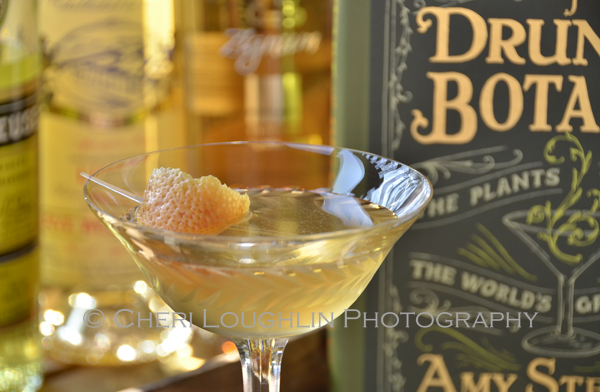 To purchase your own copy of The Drunken Botanist, click on the highlighted Amazon Affiliate Link or go to Amy Stewart’s website linked earlier. There is research involved in cocktails you know. It isn’t all shaking and sipping. But…there is some of that going on from time to time. Combine liquids in cocktail shaker with ice. Shake to blend and chill. Strain into chilled martini glass. Garnish with grapefruit peel. I love the layering of flavors. Lillet offsets the heavy spice of the Mezcal. Undercurrent from the Chartreuse is rather nice. This is a beautiful sipping cocktail. Grapefruit aroma is pleasantly light and refreshing with each sip. HOW ABOUT THAT FREE COPY? Please “share” this giveaway on Facebook. Sharing does not count as an entry but I would definitely appreciate it. Contest open from May 2 – 15, 2013 midnight CST. Contest is only open to US residents over the age of 21. Please read the Giveaway Policy. This promotion is in no way sponsored, endorsed or administered by, or associated with, Facebook. We hereby release Facebook of any liability. Winner will be contacted by email 48 hours after the giveaway ends. Available on Amazon in for Kindle or paperback. This would be great for my home lounge – Mango Mary’s Tiki-la Bar! I love learning about the provenance of the cocktails and the ingredients I use in them! I hope this book proves to be as entertaining a read as Amy’s previous books! I am still learning about flavors that relate well together, and making custom infusions by pairing herbs and liquors. This book sounds great for that. I am also just a cocktail nerd in general, and love things that build my knowledge base. This book looks like a perfect addition to my growing collection of cocktail recipes. 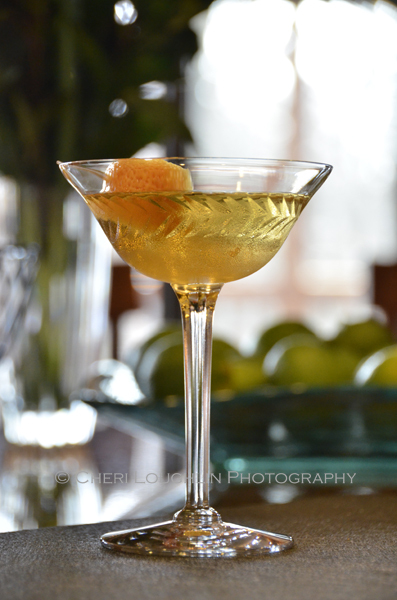 As I like to say, a recipe is best served in a martini glass! I’d love to incorporate more home botanical and herbs into my libations! 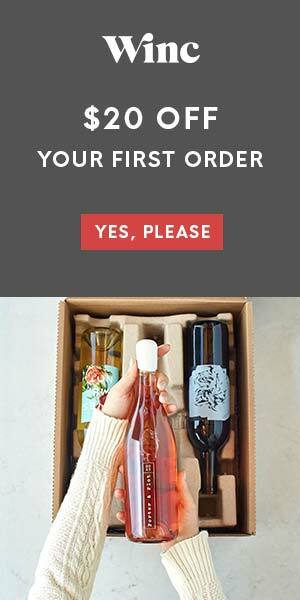 This sounds like an excellent resource for the home imbiber to create “craft style” cocktails at home. Well done!